The clear waters of Tallebudgera Creek are a protected fishing haven. With plenty of parking and a great boat ramp, it's ideal for small boat or land-based anglers. The variety of species on offer includes bream, whiting and flathead, mangrove jack, mulloway, queenfish and trevally, or even the more exotic giant herring and tarpon. Walking the foreshores casting deep-diving hard-body lures or soft plastics is a great way to explore the area, but if you prefer the more relaxed approach, a fold- up chair, and bloodworms or yabbies will produce good results. 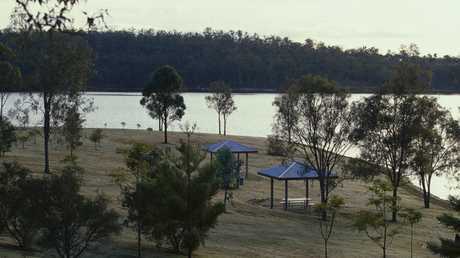 One of the gems for Brisbane anglers is North Pine Dam located west of Petrie on the north side. Stocked with most Australian native species, the dam is best known for its big bass and emerging saratoga fishery. Anglers need a Stocked Impoundment Permit to fish the dam. There is also a boating access scheme run by the local fish restocking group in the main arm of the lake. Land-based fishing is popular and productive, with some of the better locations at Bullocky Rest and Forgans Cove. One of the most popular fishing platforms in the southeast is the Southport Pumping Jetty, located 100m south of the Seaway on Seaworld Drive, Main Beach. You can park metres from the wheelchair-friendly footpath leading to the well-stocked kiosk at the start of the jetty. 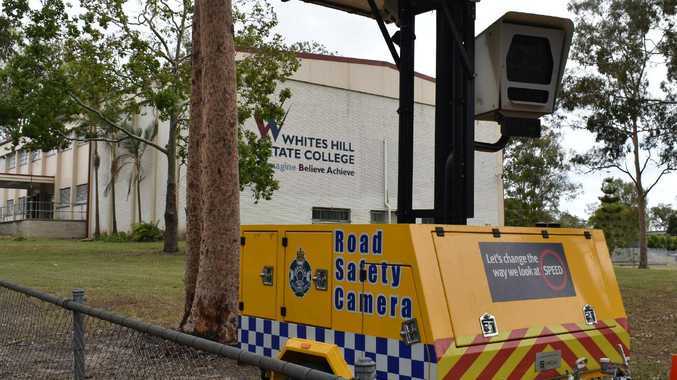 A small fee is charged for access. Fishing in the surf produces whiting, dart and bream. Walking out to the back of the waves is a popular spot for tailor, and the very end of the jetty can turn up anything from kingfish to mackerel. A good land-based location for flathead and whiting is James Overell Park off Brighton Parade, Southport, on the northern side of the Nerang River just upstream of the Sundale Bridge. The foreshores have a long sandy beach with some shady trees and plenty of room for kids to spread out for family fishing. The best bait at this location is yabbies or bloodworms, and the run-out tide usually produces the best catches. One of the most scenic fishing and camping destinations in southeast Queensland would have to be Cylinder Beach on North Stradbroke Island. Access is by barge to the island, then a drive along a bitumen road towards Point Lookout. Camping facilities are metres from the beach, and it is perfect for paddling in the shallows and fishing for whiting and flathead. For the keen fisho, it's a central spot to base your camp. The fish-rich rock walls of Amity are close by and driving down George Nothling Drive will put you on Main Beach chasing tailor and mulloway. Parents are often looking for a location to take the kids fishing and Cabbage Tree Point at Jumpinpin ticks a lot of boxes. 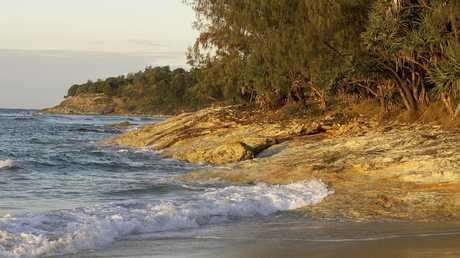 The foreshores are mostly a sheltered sandy beach that regularly produce whiting and flathead. There is also a small rocky point beside the boat ramp where more serious anglers target mulloway, tailor and estuary cod. 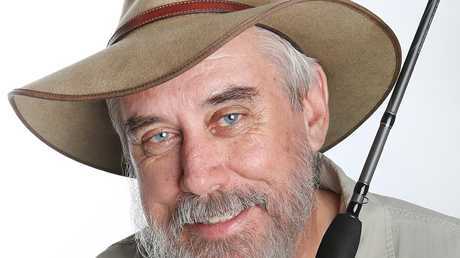 Favourite techniques include walking the bank throwing long casts then slowly working a soft plastic along the bottom for a flathead, or anchoring a bloodworm on the bottom for a whiting or bream. Charlie Hammel Park beside the boat ramp has a playground, shaded picnic tables, barbecues and public toilets. 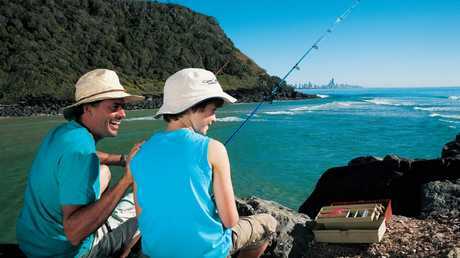 One of the best fishing locations on the Sunshine Coast is in the Maroochy River around the pylons of the Sunshine Coast Motorway overpass where it crosses Bradman Street, locally known as The Cod Hole. While there are good fish caught during the daytime, it's after dark when the bridge lights shine on the water that the place comes alive producing mulloway, mangrove jack, trevally and its namesake, cod. Popular with boaties, it is also a great land-based location with good parking and armchair fishing along the foreshores on Bradman Street. Jabiru Island on the northern Gold Coast is an ideal land-based location producing a great mix of species. Following the boardwalk out to the eastern tip of the island, there is a deep hole that produces quality bream, mulloway and mangrove jack, especially on the turn of the tide. 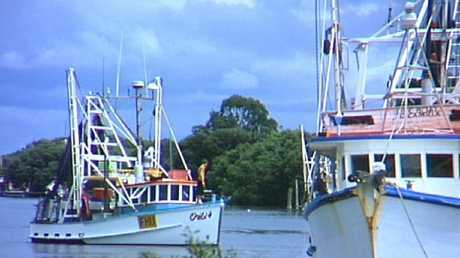 The area is known for big whiting, especially on the northern side around the moored boats. 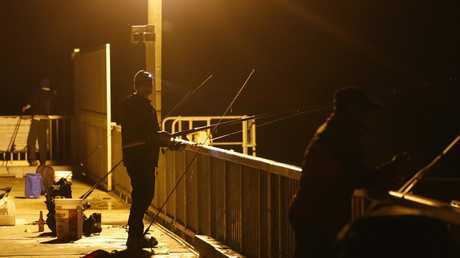 Mangrove jack, trevally and estuary cod are also a common catch around rocky areas and the bridge pylons. The island has excellent family friendly facilities including playground, swimming enclosure, public toilets and barbecues. Kedron Brook Floodway is an underrated location in Brisbane suburbia that often produces whiting, bream, flathead, bull sharks and mud crabs. At the right time of year it can also produce excellent numbers of banana prawns for cast netters. Being a small tributary, it is less effected by run-off from heavy rains and is protected from strong winds or waves making it an ideal beginners boating playground. There are also excellent land- based options including rocky and grass foreshores, sandy beaches and excellent timber fishing platforms. Wivenhoe Dam, is a popular spot to drop a line.You'll need a Stocked Impoundment Permit, and boats must have a low emission 2-stroke or 4-stroke motor. The target species are bass, which will take almost any hard-body, jig or plastic. They also love live shrimp, which can be caught in canister traps around the shoreline. Land-based fishing is also productive. Walking the foreshores while casting is a relaxing way to spend the day. Most of the access areas have barbecue facilities and plenty of space for a family picnic. Curtin Artificial Reef on the western side of Moreton Island, just north of the Tangalooma Resort, is easy to find with 32 sunken vessels making up the reef. This underwater wrecking yard includes cars, tyres and pontoons, and attracts a variety of species including cod, groper, rays and a mix of schooling species including bream and snapper, as well as pelagic species including cobia and kingfish. Currents in the area can make fishing difficult during the tide, but that is usually when the better catches are. During tide changes, fishing can be slow, with the added complication of divers and snorkellers exploring the reef. Marks Rocks, named after the Marks family whose homestead is on the southern side of the river, is one of the better-known fishing locations on the Logan producing bream, mulloway, threadfin and in more recent years, the occasional barramundi. At low tide, the rocks on the southern foreshore are exposed. They stretch underwater to the edge of the main channel. Budds Beach, accessed via River Drive Surfers Paradise, is a protected sandy beach in prime whiting country, ideal for both fishing or a family waterside swim and picnic. Whiting are the target species and bloodworms or yabbies are the top bait in this area, and while they are caught on any tide and time, the run-out tide of an evening usually produces the best results.